James Bond is getting his own channel on Sky, with the broadcaster announcing that all 22 Bond films will be given dedicated space on its EPG. 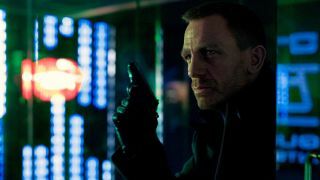 What with his Olympic stint with the Queen and a new movie, Skyfall, out in November, 2012 is a busy year for James Bond – something Sky is set to capitalise on with the fact it will be showing all 22 Bond films from October in HD for the first time without pesky ad breaks. It was announced back in April that Sky was to screen the entire James Bond collection in HD, including the upcoming Skyfall, but it was thought these movies would be seeded on to Sky's myriad movie channels rather than getting their own channel, aptly named Sky Movies 007 HD. Given the importance of bagging Bond in HD for Sky, it's set to showcase the franchise in the best way possible – something that Ian Lewis, director of Sky Movies, is very excited about. "The Bond movies are a very special franchise and we want to ensure that our customers will be able to experience it in a way they've never been able to before, and so we're going to create a dedicated channel Sky Movies 007 HD devoted entirely to James Bond showing the entire catalogue of films and loads of extra material," explained Lewis about the news. "We're delighted that our customers will have the best Bond movie-watching experience ever with Sky Movies – uninterrupted, in HD, on demand and on the go." Alongside the Sky broadcasts, a Blu-ray boxset of all the movies to date is on its way, hitting shop shelves on September 24. It will be interesting to see how much of an impact Sky's announcement will have on sales of the boxset. Although home cinema enthusiasts will probably wait for the Blu-ray and all the AV goodness that comes with it (including 1080p and DTS HD-MA audio quality), Sky offering up a channel is definitely a shrewd move. The Sky Movies 007 HD release date is 5 October, coinciding with the 50th anniversary of Dr No and the whole collection will also be available via Sky Go.